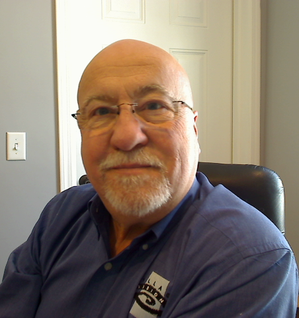 Dr Maurillo graduated from the New England College of Optometry with a degree of Doctor of Optometry in 1973. Previously he graduated Syracuse University with a Bachelors in Anthropology. He open his first location in Auburn NY in 1974 and a second in Skaneateles in 1981. Auburn was closed in 1994. Subsequently he affiliated with OptiVision in Cortland NY to help build a strong primary eye care practice to benefit the local community as he has in Skaneateles. A strong advocate of professional independent Optometric practice he has served a president of his local NYS Optometric society and is active in the Central Optometric Society today. Also he has is a member in the AOA (American Optometric Association) and AOS (American Optometric Society). He has also served on the Board of directors of Visions Service Plan, a national third party Eye-care Insurance plan. He has advanced his training by becoming Board Certified in therapeutic pharmaceutical agents for the detection and treatment of many eye diseases such as Glaucoma and retinal conditions. He has maintained an advanced capability in contact lens fitting. Further, he has been on the cutting edge of Optometry in his Instrumentation in his office as well as participating in clinical trials for Contact lens companies and Instrument companies such as WelchAllyn, Veatch Istruments and Huvitz Instruments. In 2007 he purchase a building in Skaneateles and has developed a modern comfortable office there. Living in the Village he is happily married with two children and enjoys boating on Skaneateles lake and Golf.